Jayapura: The Second Secretary for Political Affairs at the US Embassy in Jakarta, James P. Feldmeyer, declared that he will pay close attention to any information or complaints, however small he receives from Papuan people.He urged NGOs in Papua not to despair and to continue to provide information to his embassy about developments in Papua. He said that any information he received from NGOs in Papua would be passed on to officials of the US Government. He was speaking at the office of Foker (Co-Ordinating Forum) of NGOs in Papua when he made this comment. According to information obtained by Bintang Papua, the US diplomat held a private meeting at the Foker office, when he was accompanied by a female colleague. From there, they visited the office of ELSHAM – Papua. The Executive Secretary of a Papuan NGO, Lienche F. Maloali said that the aim of the meeting had been to urge NGOs in Papua not to stop providing information to the US Embassy about the situation in Papua including information about various human rights violations that continue to occur in Papua. Mr Feldmeyer made it clear that they are always keen to get the most up-to-date information from those who are members of various Papuan organisations which could be sent to senior officials at the embassy or to members of the House of Representatives or the Senate. Such information would also be made available to members of the US Congress and possibly also to the President of the USA. Lienche, as Malioli is known to his friends, said that they felt very frustrated because they continue to send information about the latest situation in Papua, but they had never received any serious response. 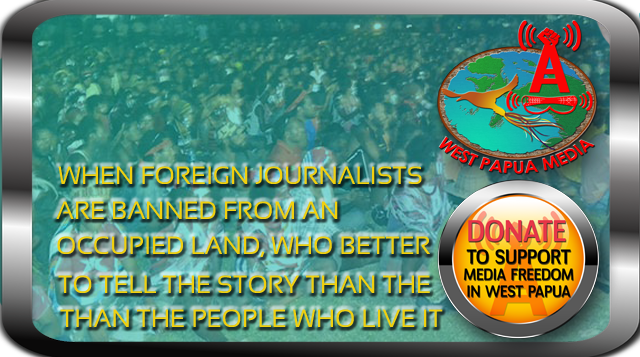 One member of Foker – Papua, Bas Wamafma said that the US Government should urge the Indonesian Government to provide the space for democracy in Papua and to allow foreign journalists to have the freedom to carry out their journalistic activities in the Land of Papua.